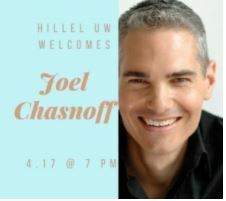 Join us in welcoming comedian Joel Chasnoff, in an interactive show about the different faces of Israel. This show will be part stand-up comedy, part interactive-theater. 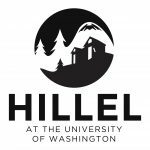 He will use character and humor to create a safe space for healthy discussion about Israel. Israel- What's the Story? is an interactive one-man show that directly engages the audience and asks: "What does it mean to be Zionist today?" In an unforgettable hour, Joel Chasnoff- a professional comedian, actor, veteran of the Israeli Army, and author of The 188th Crybaby Brigade- portrays four characters, each with a distinct view on Israel. Audience members are invited to challenge each character and ask any questions they wish....and Joel, in character, argues back!